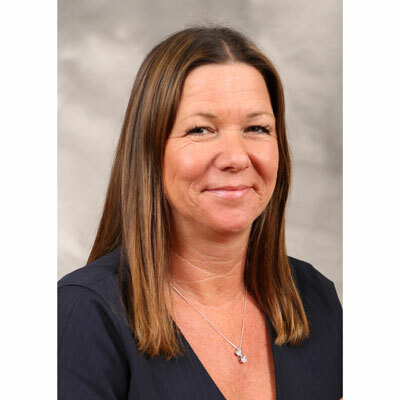 Hilary Gadda is a proven channel leader with more than 25 years in channel leadership and management, 15 years with TPx, the premier national managed services carrier. In fall 2017, she was promoted to the newly created role of director of national channel development focused on TPx's channel-first expansion nationwide. Previously, Gadda was director of partner programs for TPx (formerly TelePacific), where she helped the channel achieve triple-digit growth. Today, the channel contributes more than half of TPx's annual revenues. Prior to joining TelePacific in 2001, Gadda worked at i7 Interactive, Teleglobe, Frontier and MFS. Gadda is co-founder and past president of Women in the Channel (WiC), a not-for-profit organization of women in the technology sales channel. She also has worked closely with CompTIA, serving on its Advancing Women in IT (AWIT) Executive Council as well as its Vendor Advisory Council. In 2018, she was named to CompTIA's Future Leaders Community Executive Council. Gadda is widely respected in the telecom and IT channels. She was named to CRN's prestigious list of Women of the Channel in 2016 and 2017. And, in January, was named a 2018 Channel Innovator in inaugural Channel Influencer Awards from Channel Partners & Channel Futures. In 2017 I was promoted to a new role within TPx charged with the expansion of the channel - from servicing partners in three states to covering our national footprint. I was part of the team created the strategy and tactical execution plan, including: 1. Implementing an intuitive, efficient on boarding process for our new partners across the country. This included company, service, product and process education delivered in-person, via webinar and on-demand. 2. Launching a new marketing strategy. We were no longer working with partners solely in our backyard, so we needed to develop a tailored communication process to reach a national partner community across several audiences: corporate, sales, engineering and marketing. Delivering the right information to the relevant department or individual was imperative to ensuring a high read/open rate. 3. Recruiting new partners outside our legacy three-state footprint. Many master partners in the Central and Eastern U.S. had worked with TPx on occasion when they had a customer within our footprint. Now we needed to prove to them that TPx should be their go-to managed service carrier on a national basis. This included signing four of the largest master partners in the country. • Gadda was named to CRN's prestigious list of Women of the Channel in 2016 and 2017 in honor of her outstanding leadership, vision and unique role in driving channel growth and innovation. • In January 2018, Gadda was named a 2018 Channel Innovator in inaugural Channel Influencer Awards created by Channel Partners & Channel Futures to recognize the people, technologies, trends and organizations shaping the channel in 2018. Eight channel leaders were named to the 2018 Channel Innovator list, which includes industry thought leaders who are paving the way to the "new channel." One woman I admire is Tricia Wurts, 2011 IT Hall of Fame award winner, business owner and technology thought leader. Tricia has played many roles in my life -- both personal and professional. She has graciously been a mentor, business adviser, coach and an often-needed realist. Tricia is incredibly giving of her time and experience. She's had an amazing positive impact on my life and career. She inspires me to pay it forward. "See in yourself what others see in you. Be bold. Be brave. Be kind of heart. That will prepare you for an awesome adulthood, I promise." I'd like to earn my Security Certification from CompTIA in support of TPx's exciting 2018 road map for delivering security solutions. In today's interconnected world, security and intrusion prevention are ever-growing concerns for businesses and partners of every size. Because of the increased emphasis and demand in this area, it is very important to me to continue to be a trusted adviser for our partners and the channel. This takes commitment to continuing my education, which is something I truly enjoy. The best book I read last year was, "Building a Story Brand" by Donald Miller. It's so relevant to what I am working on every day at TPx. As we're moving from a regional brand to a national brand, this book instructs that the message must be crisp, clear and recognizable. Also, instead of talking about our incredible technology -- what it can do and how it does it, this book guides us back to the customer and keeping the customer as our No. 1 priority.